Planning on hitting the road on the ultimate outdoor road trip and wondering what types of RVs are available, and which will fit your family’s travel needs best? We hope to make your decision easier with this quick guide that will explain the advantages and disadvantages of various models currently available. 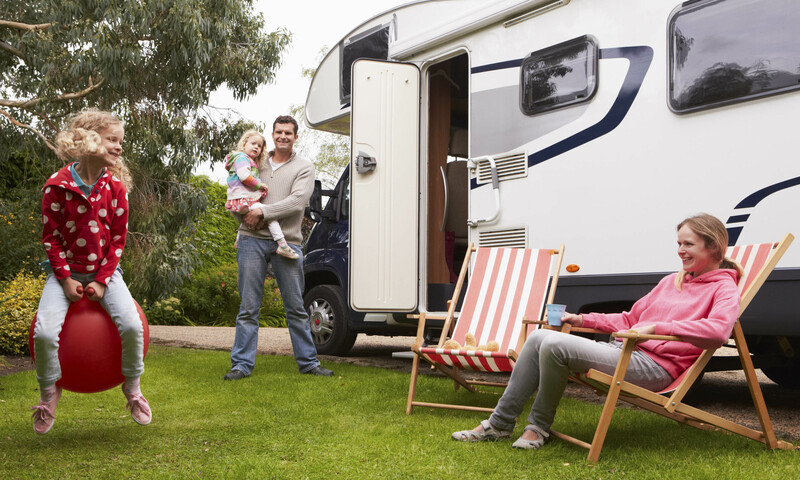 Recreational Vehicles (RVs) can be split into one of two categories: motorhomes and towable trailers. Choosing the right RV can be daunting so we’ve done the hard work for you. We’ll explore the benefits of each type below, in terms of budget, size and ease of travel. Large and bulky like tour buses, these holiday homes on wheels are fitted with all the little luxuries from master bedrooms with queen-size beds to HDTV. Class A motorhomes are the most spacious option for families and groups but also the most expensive to buy and maintain. These large RVs have a living room, separate master bedroom, up to 5 slide outs for extra space, a bathroom with shower and toilet, and a dining area and kitchen with all the facilities, some even with a dishwasher, washing machine and tumble dryer. Class B motorhomes are commonly known as campervans and are the smallest and most affordable RVs on the market. They have fewer amenities than Class A and C motorhomes but their small size makes them a great choice for single travellers, couples and small families. These RVs have small kitchenettes and a living and dining area (that converts into beds) and a TV with video games. Some have portable toilets. 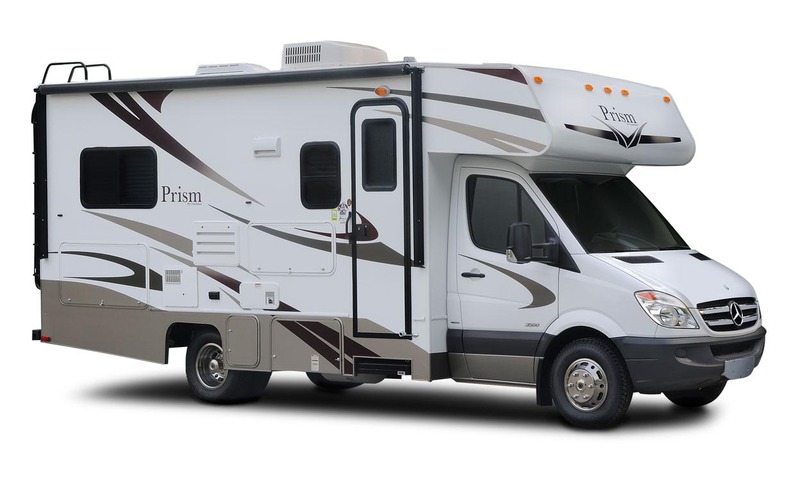 A Class C motorhome is a good middle ground between Class A and Class B RVs. They have similar features to Class A but come in a more compact form which makes them easier to drive and manoeuvre. These RVs have a kitchen, over-cab bedroom, bathroom with shower and toilet, dining area, and slide outs for extra space. These are the largest and safest trailers with an extension that rests on the back of a pick-up truck – but they are also the most expensive. Once attached, it has two spacious levels which allow extra living space for larger families. These RVS have a kitchen dining area, bedroom, bathroom with shower and toilet and slide outs for extra sleeping space. A Sport Utility RV, also known as a Toy Hauler, has a storage area at the back which can be used to transport motorcycles, quad bikes and boats. It’s a great option for adventure travellers and families. Once unpacked, the storage area can be used as additional sleeping space. These RVs have a kitchen, dining area, bathroom and storage. Some have slide outs for extra space. Also known as a pop up trailer, this small trailer folds up when you’re on the move and can be towed by just about any vehicle. With less features, it is also the lightest and most affordable. The Folding Camping Trailer can be driven on most roads and is relatively easy to manoeuvre. These RVs have sleeping space, a fresh water and waste tank and small kitchenette. Some have portable toilets. Smaller and lighter than a Fifth Wheel Trailer, this trailer is more affordable than most RVs. It offers decent fuel economy and can be towed by pick-ups, SUVs and some minivans. These RVs have a kitchen, bedroom, bathroom with shower and toilet, dining area and bunk beds. Some with slide outs for extra space. Mounted on a pick-up truck, a Truck Camper is extremely affordable but comes with less space and privacy than motorhomes. This RV has decent amenities with extra slide outs for extra space. It’s recommended for holidays where you are planning to stay in one place for a long period. These RVs have kitchen facilities, beds and slide outs for extra space. Some have portable toilets. There are many RV options available to suit your needs and budget. What tips do you have for choosing an RV?